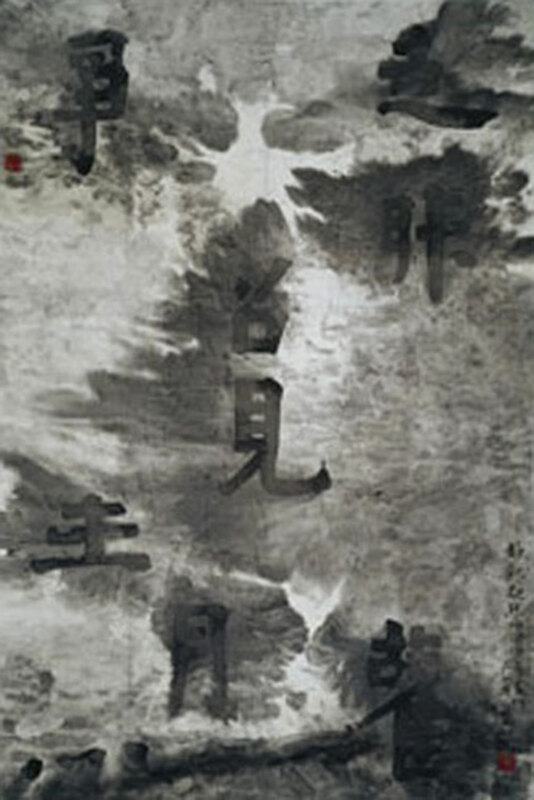 Floating across a washed, grey picture surface that vaguely resembles a traditional Chinese landscape painting are no more than eight Chinese characters. Despite their relatively large scale and proper calligraphic brushstrokes, the characters are themselves meaningless and unintelligible. 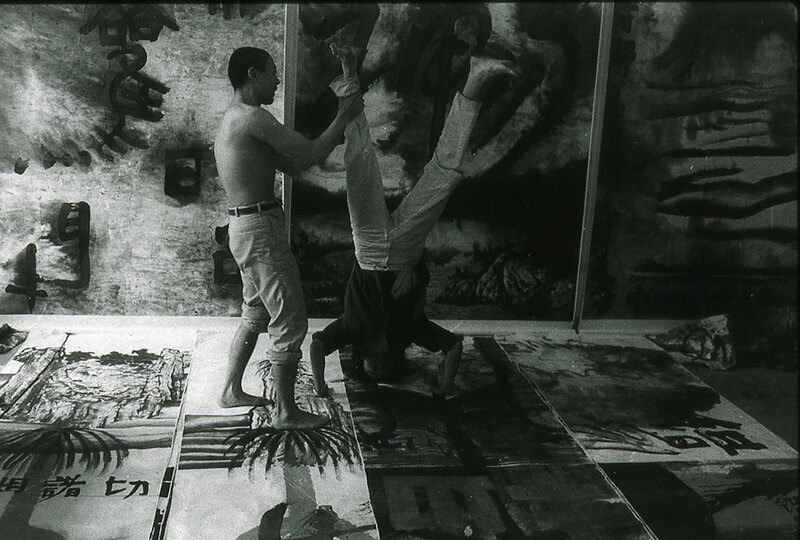 «Deformed Characters» is the fourth painting of Gu’s «Pseudo-Character Se- ries» (1984-86); in deconstructing these fa- miliar characters, Gu strives to empty them of any meaning, distancing the viewers from their comfort zone. 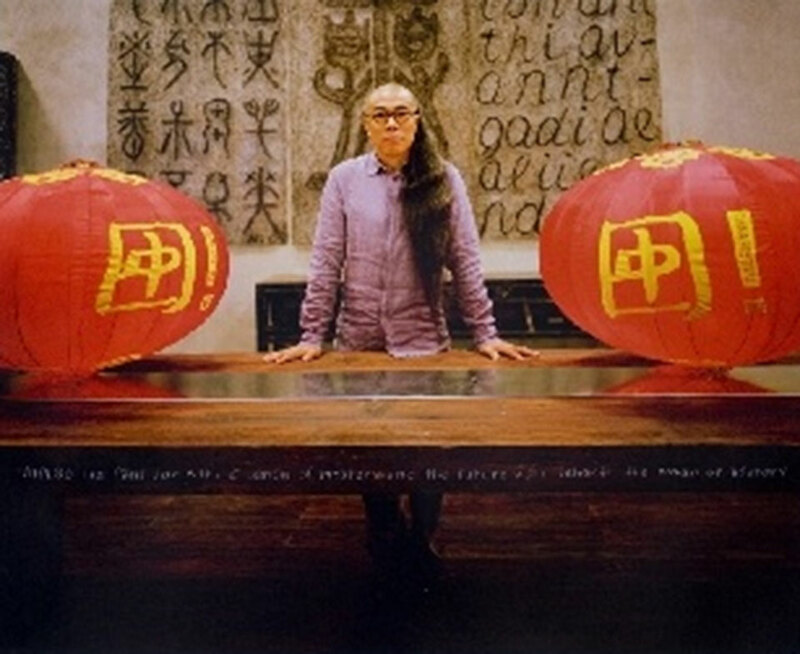 Taking into account the signifi- cance and sanctity of the visual language to Chi- na’s ruling elite, Gu’s work invites independent thinking, which is in turn a serious challenge to the dominant power.